Even though I have only read 16 of the 42 novellas in Melville House Publishing Art of the Novella series, I was harboring hope that I might actually finish all 42 by the end of August. After the first eleven I realized I was suffering existential angst every time I had to choose the next one to read so I decided to read them in chronological order. So I lined them all up according to when they were written and began with the oldest. (Wag of the finger to Melville for not having the original dates in all of their editions. Most of them have it but about five oddly don’t.) That was going along great, in fact I really enjoyed reading them in chron order, it gave a continuity to the otherwise disparate series of books. 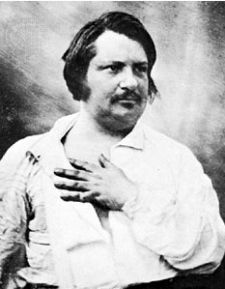 And then, Balzac. Ugh. I didn’t necessarily hate The Girl With the Golden Eyes, but I was really not in the mood for it which made it seem tedious. I could see myself liking this book some other time, but not right now. Pretty much everything else I have read had strong narratives and this one–at least the first 30 pages–read more like an essay. So I put it away. But the net effect of the Balzac disaster is that I lost my urge to complete the rest of the volumes by the end of the month. Not only did it make me realize that there may be others in the series that I find equally uninteresting right now but it also pissed off my OCD which can’t bear the thought of having a hole in my plan to read chronologically. So, with my interest in high-style, high-meaning, novellas by classic authors at an all time low, I picked up a Persephone (Miss Buncle’s Book) and I couldn’t be happier. Overall I am loving this challenge and loving the Melville novella series. And I am still going to try and finish at least five more of the novellas by the end of the month so I can make it to the fittingly named “Obsessed” level of 21 novellas. Next Article All Hail Miss Buncle! The only Balzac that I've read is A Harlot High and Low which I liked a lot, but yes, you probably need to be in a certain mental space for it. A bit of trivia: he's mentioned by the townswomen in The Music Man as the epitome of decadence. Leave it to good old Persephone to get rid of a bad taste in the mouth left by some other book. Courageous of you even to attempt to read through all the novellas. I haven't read any Balzac, but I have a feeling my reaction might have been similar. You made a great and energetic showing. A Persephone title might be jus the thing for me after this month. I haven't read Balzac in years. I need to get this one. Oh who am I kidding, I need to get them all!